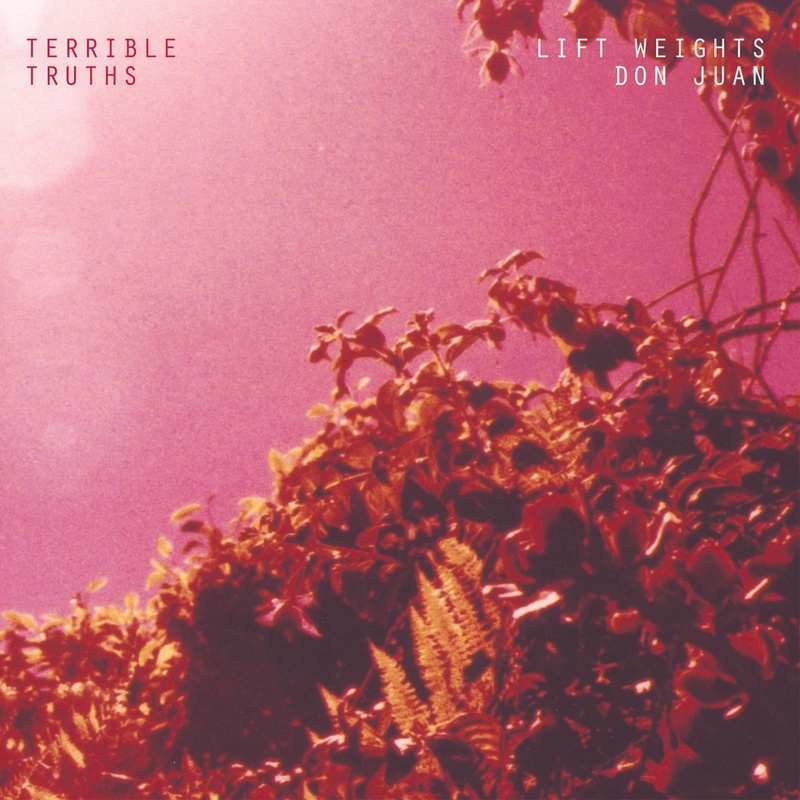 Terrible Truths are a stunning young post-punk band from Australia, beholden to the aesthetics that drove that music’s late ‘70s inception with a spirited, fresh-sounding energy shared with so many of the great bands that are marking their country’s current dominance over rock music. The intertwined vocals of guitarist Rani Rose and bassist Stacey Wilson evoke the feelings of freedom and discovery bestowed upon those who have learned to control their musical powers, the wild magic therein enchanting all lovers of UK DIY, Goth, and the ‘90s riot grrrl explosion. It all adds up to simple, ecstatic pop songs with a great intensity and rhythmic drive (aided and abetted by Kitchen’s Floor drummer Liam Kenny). “Lift Weights” comes from their long-OOP debut 7” on Small Town City Living, while B-side “Don Juan” is exclusive to this release.